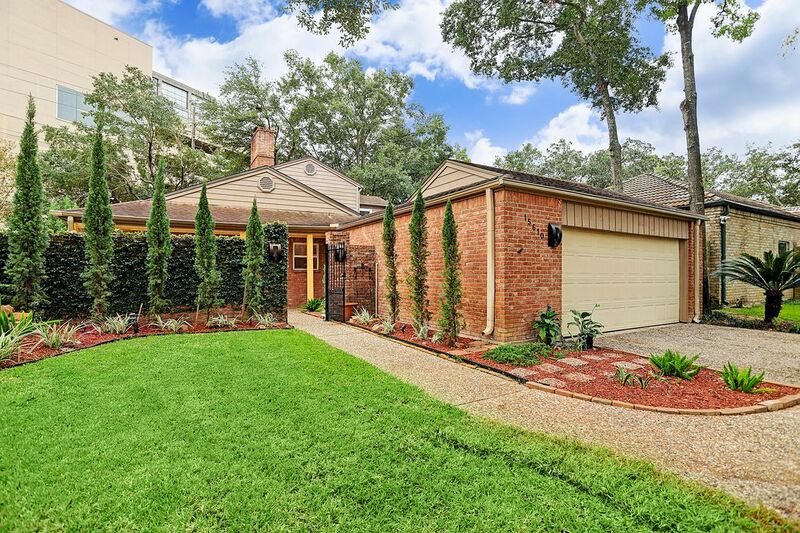 15610 Whitewater Lane, Houston, TX 77079 | Martha Turner Sotheby's International Realty, Inc. 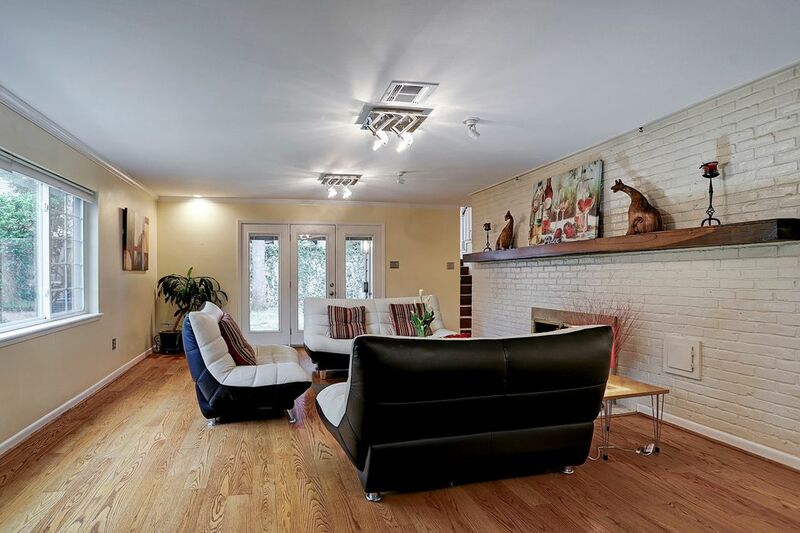 The large living area is enhanced by the abundance of natural light, the brick fireplace, and contemporary lighting. 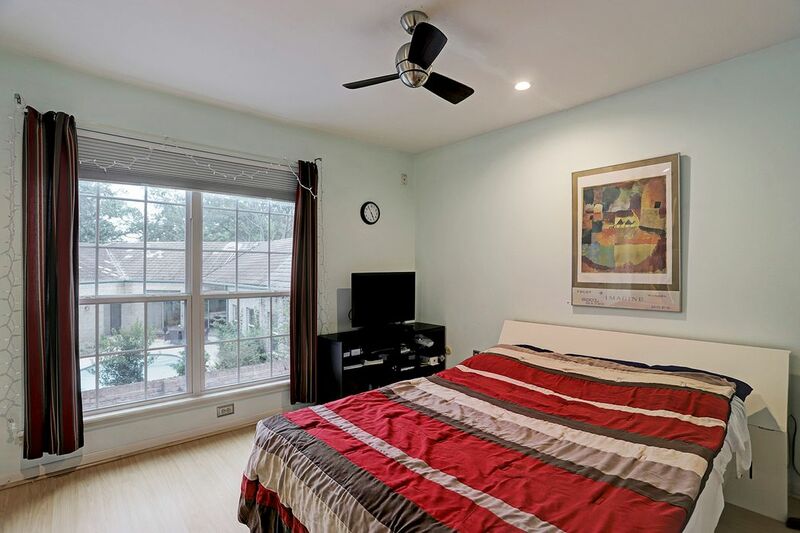 Note the beautiful windows throughout the home, allowing lots of natural light. All windows are double-paned. Another view of the living area. At the far end of the room is the formal dining room. 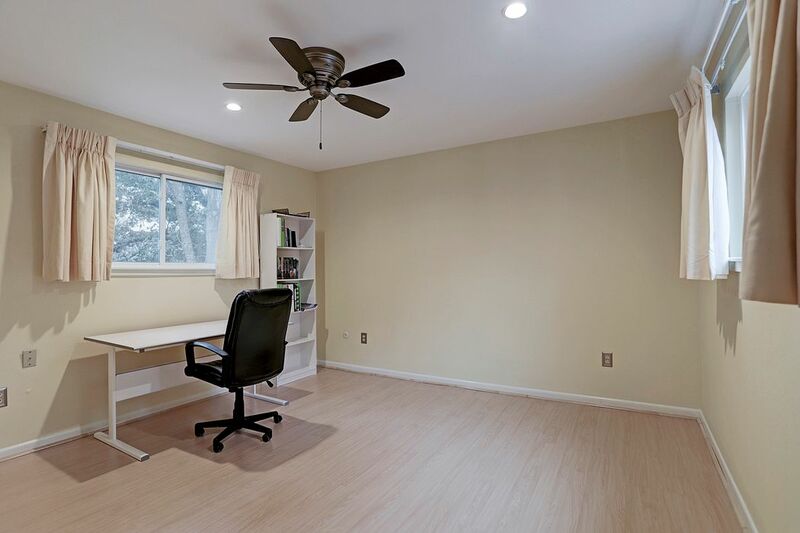 The owner currently uses this space as an office. 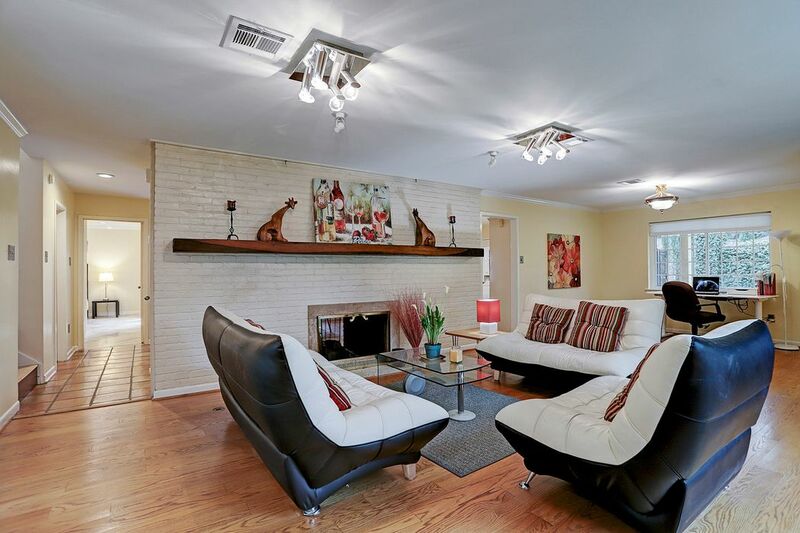 Beautiful breakfast area with brick fireplace and spacious view of the private outdoor patio. Note the contemporary light fixtures. 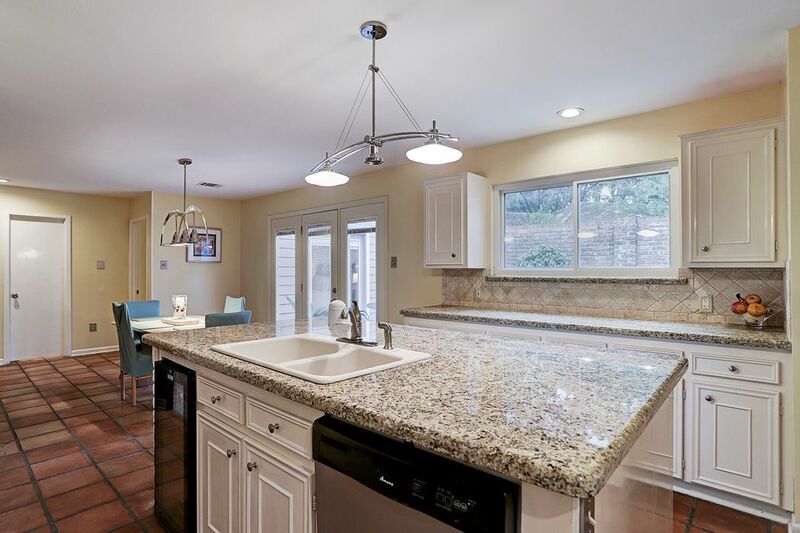 Kitchen - note the spacious counter space, with granite counters. Double oven installed in 2018. There are two separate pantries. 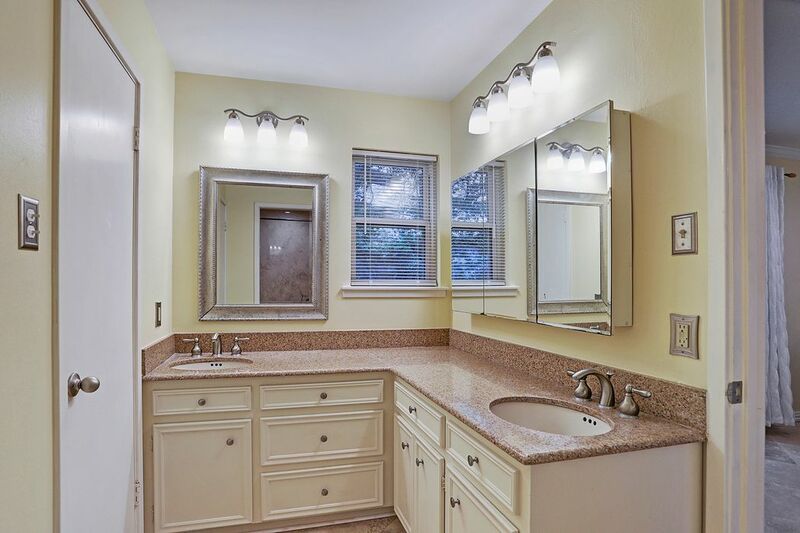 Note the contemporary light fixtures throughout the home. 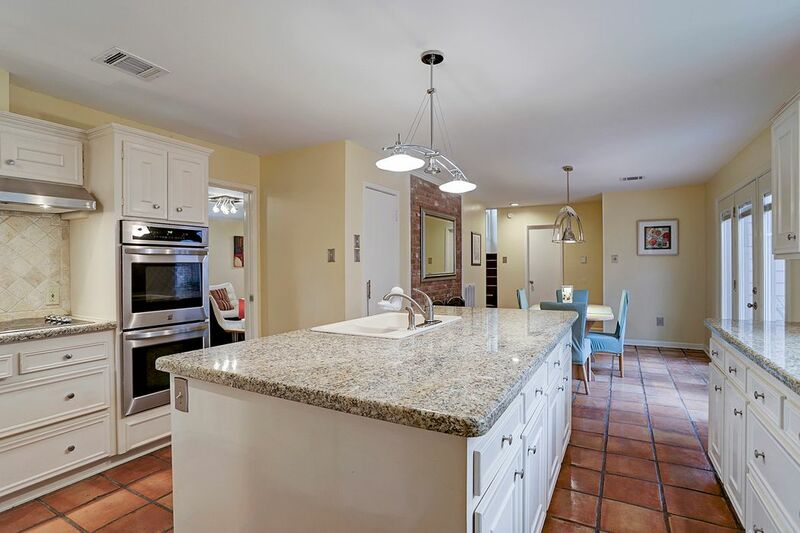 The large kitchen island not only provides the chef with lots of work space, but also houses the dishwasher and the wine cooler. 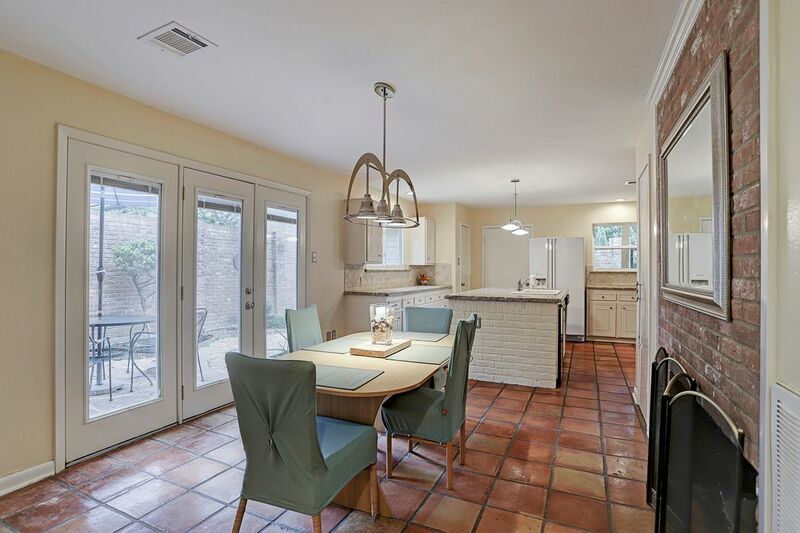 Located near the private patio, this kitchen is ready for entertaining. 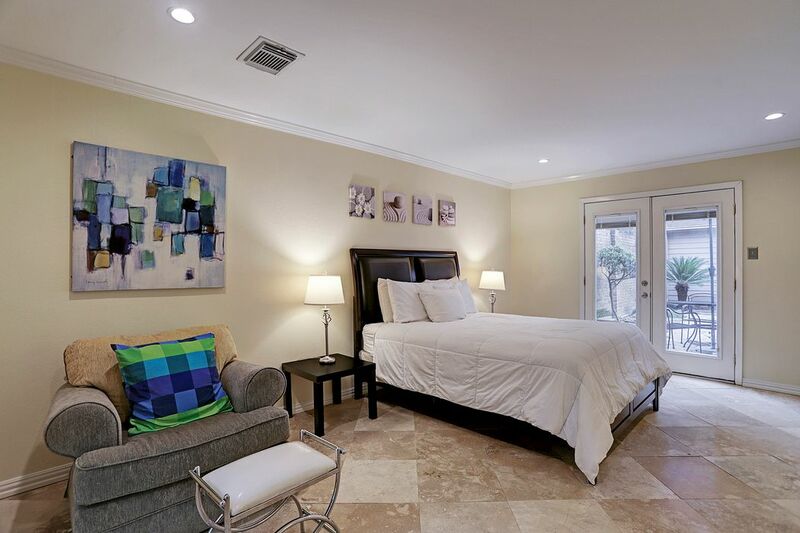 The master suite overlooks both the back yard and the private side patio. 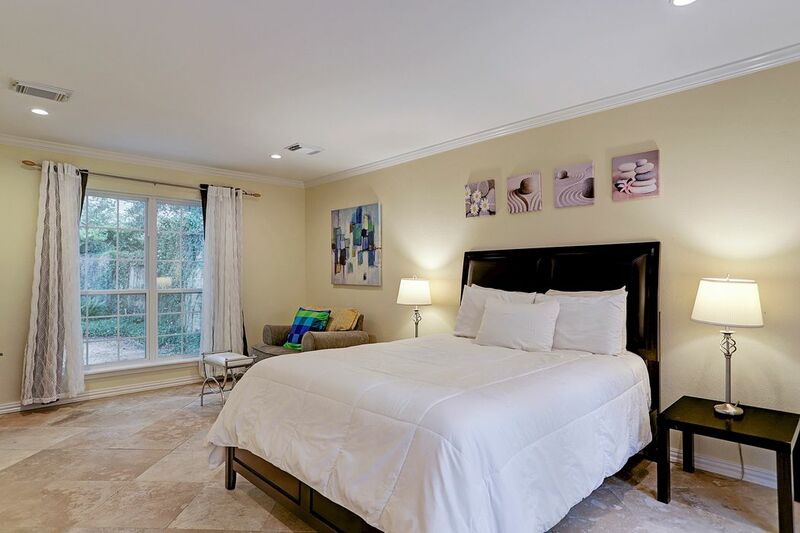 The master bedroom, located on the first floor, is bathed in natural light from the two sets of French doors. The large marble tile and muted pale yellow walls make this master suite a restful, soothing room for relaxing. 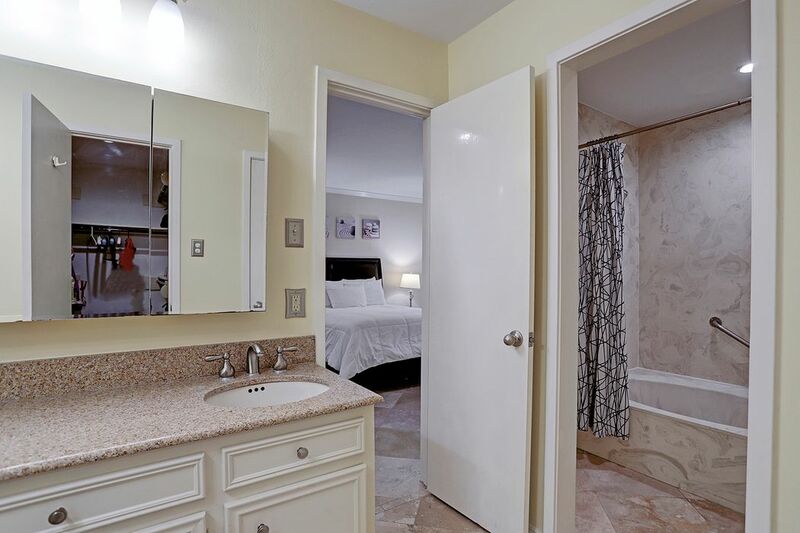 Master bath, located on the first floor, has double lavatories, a large closet, a linen closet, and a shower/tub combo. Another view of the master bedroom, located on the first floor. 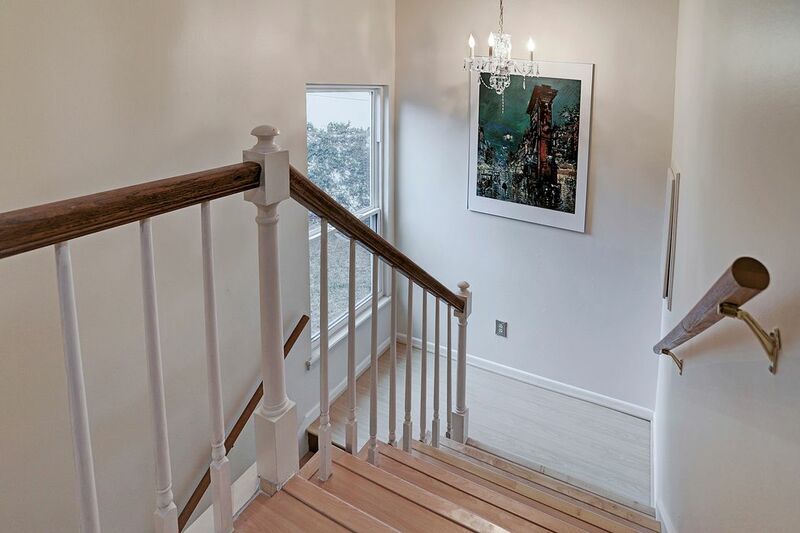 Lovely stairwell with lots of natural light. Note the adorable chandelier. One of two secondary bedrooms located on the second floor. 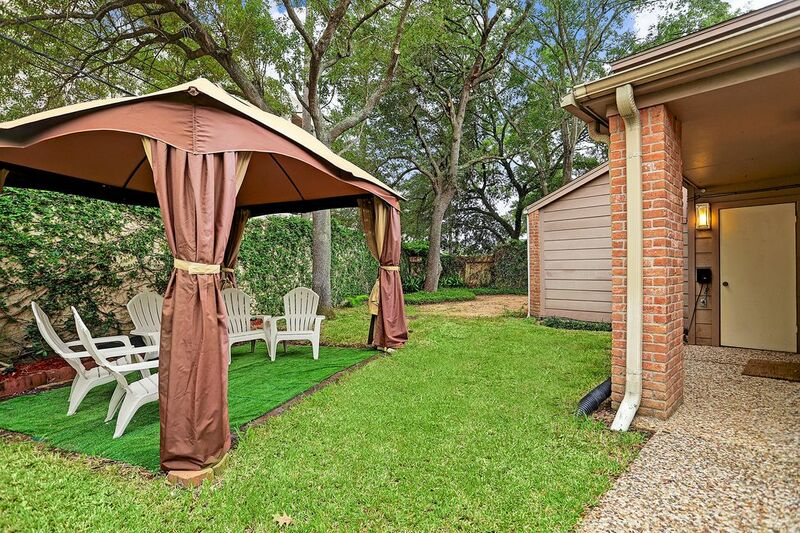 The back yard is spacious, and boasts a sprinkler system as well as French drains. 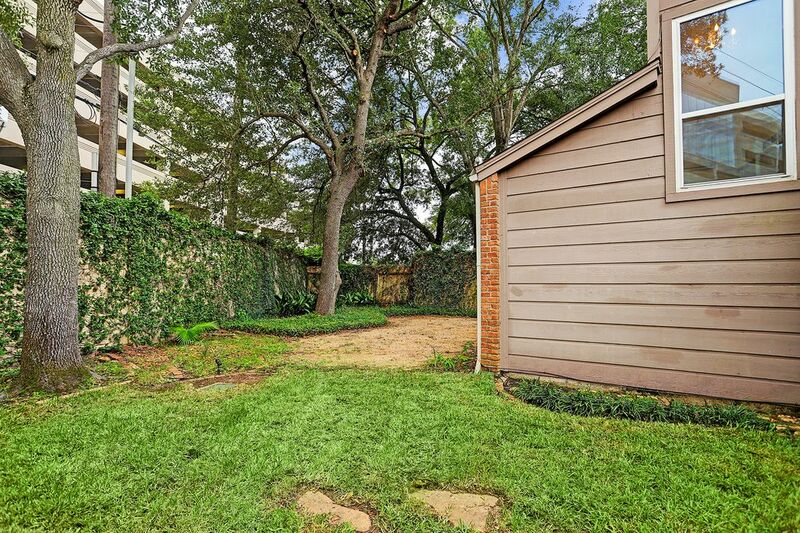 View of the back yard and back patio. 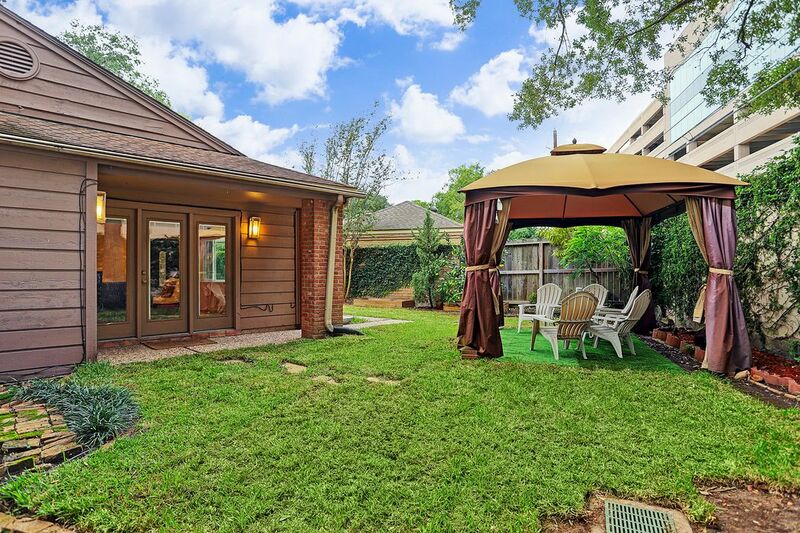 View of the spacious back yard and back patio. 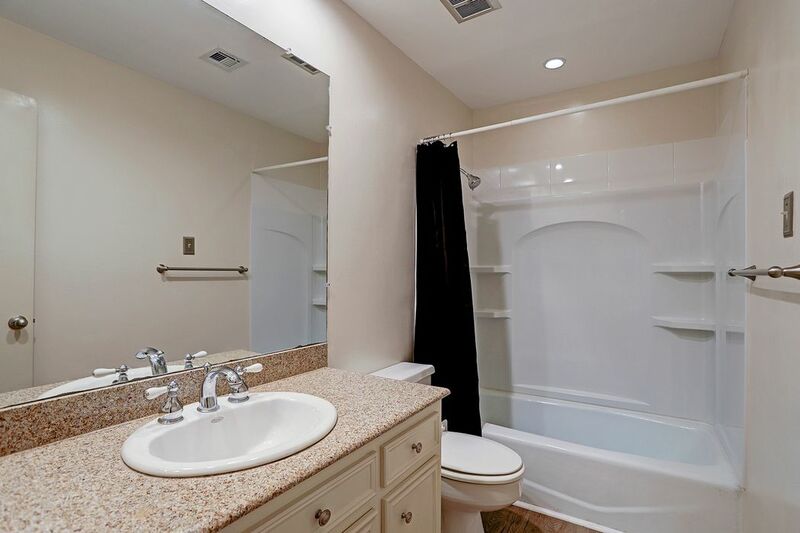 $329,000 3 Bedrooms2 Full / 1 Partial Baths2,193 sq. 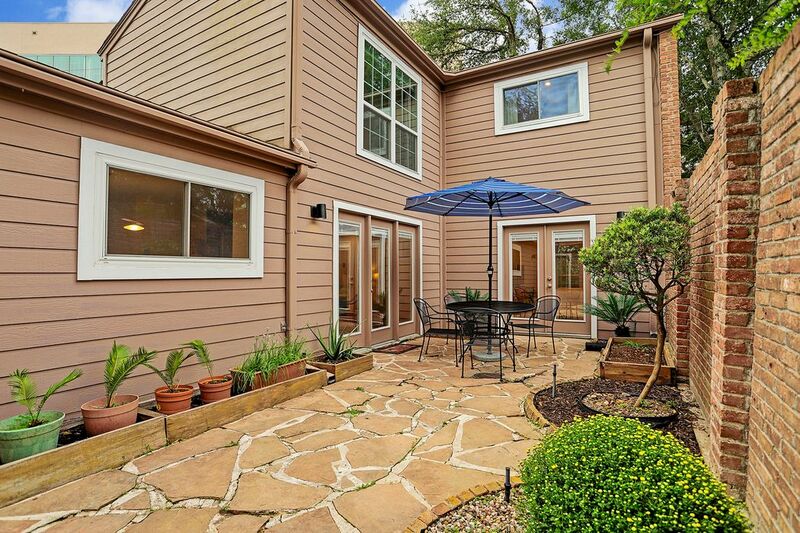 ft.
Lovely, updated 1.5-story patio home with master down and wonderful, large island kitchen. 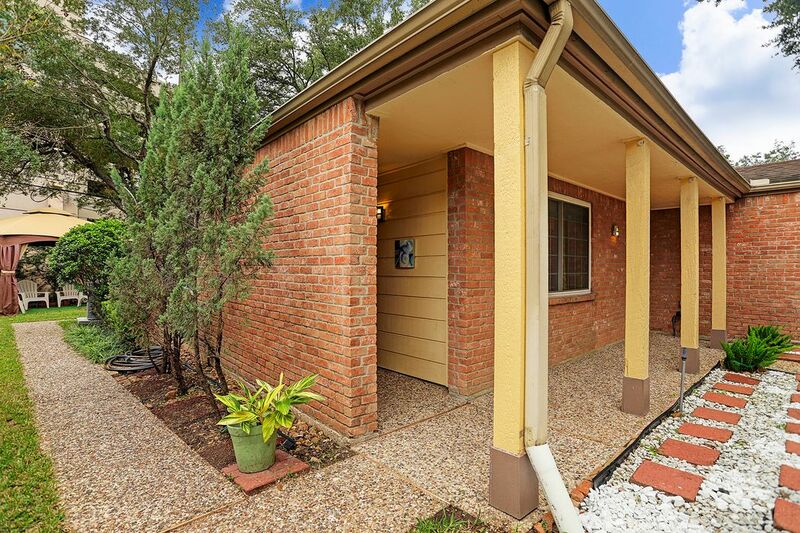 Light and bright home with recent double pane windows throughout. 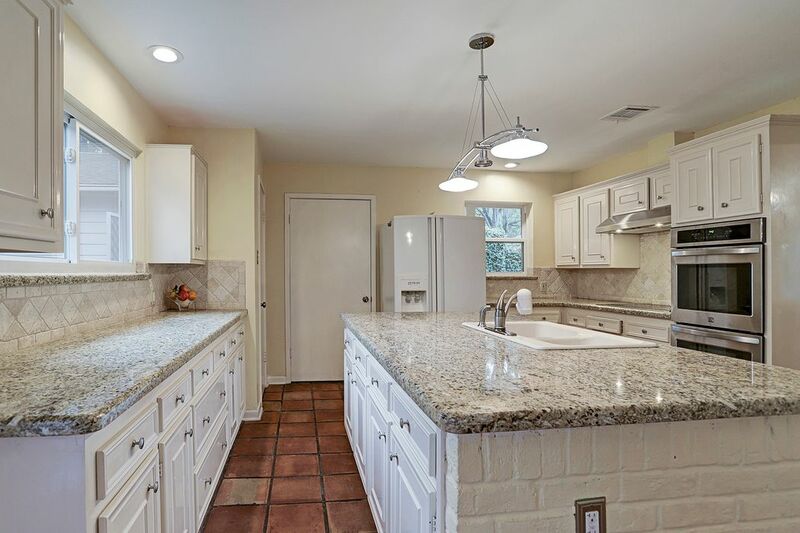 Awesome kitchen with granite, recent built-in stainless steel appliances and huge island, perfect for entertaining. Breakfast room with fireplace, open to kitchen with lovely view of patio. 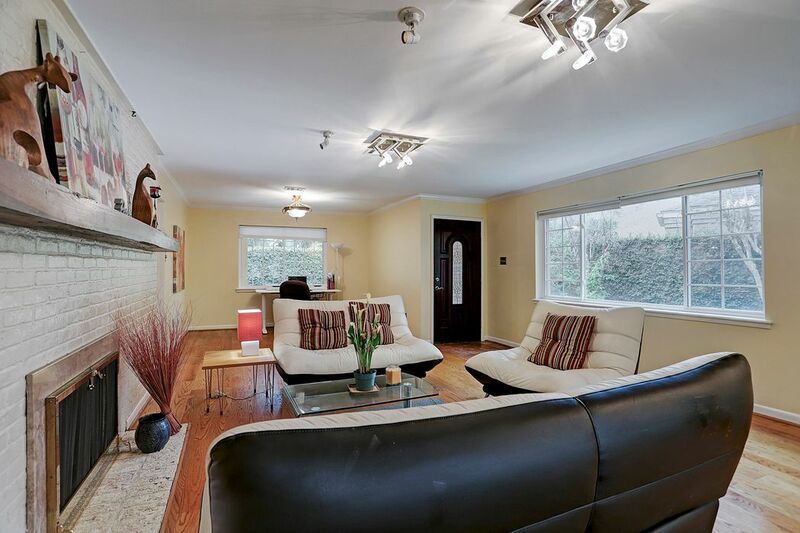 Fireplace is also located in family room with abundant windows and natural light. Air/heating replaced in 2018 plus many other upgrades throughout. 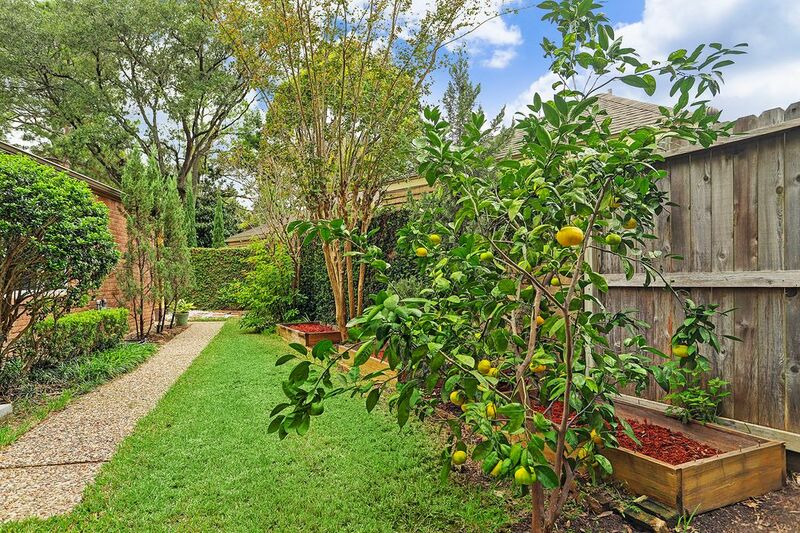 Backyard boasts peach, lemon and orange trees and raised beds for herb gardening. 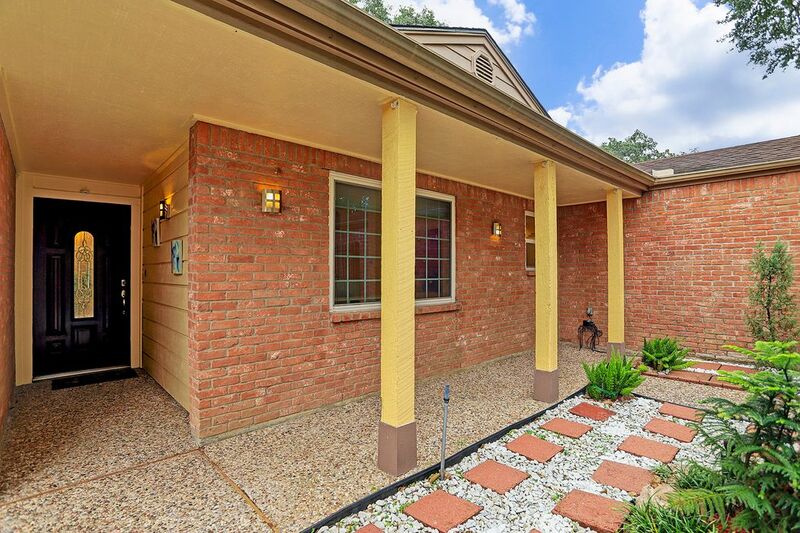 Home is located in desirable Barkers Landing in the Energy Corridor. Did not flood. Great Katy schools. 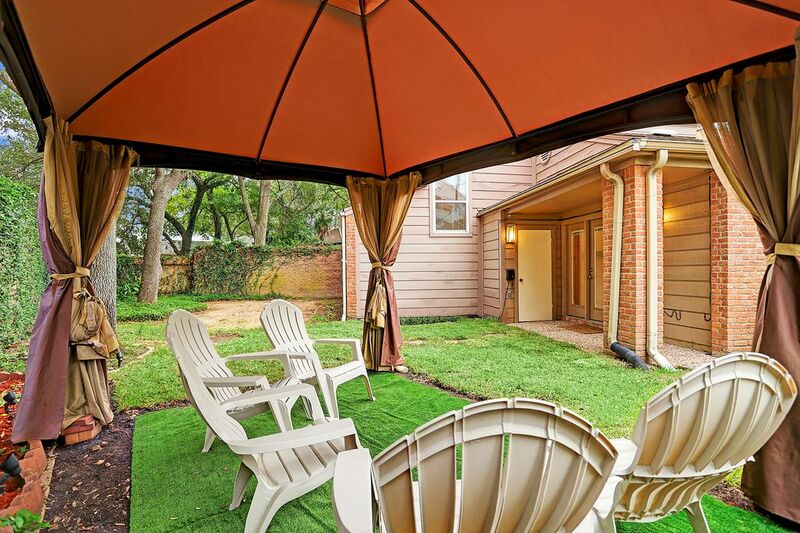 Convenient to I-10, the Beltway, major medical facilities, shopping, entertainment and beautiful parks.